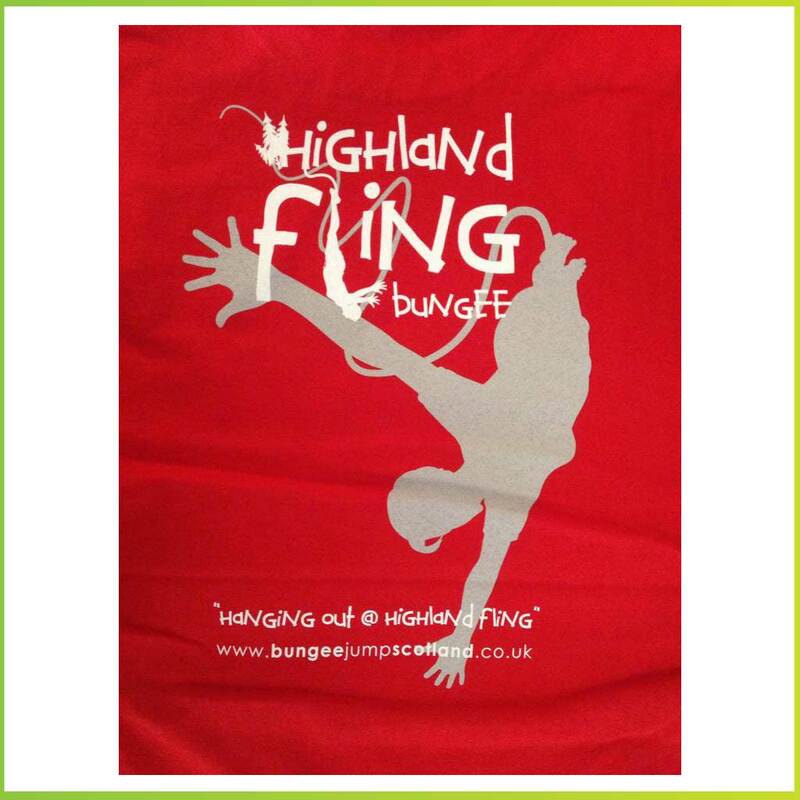 Highland Fling Bungee Jumping takes the skill and the vision of experts and marries it with the iconic scenery of Highland Perthshire, Scotland. 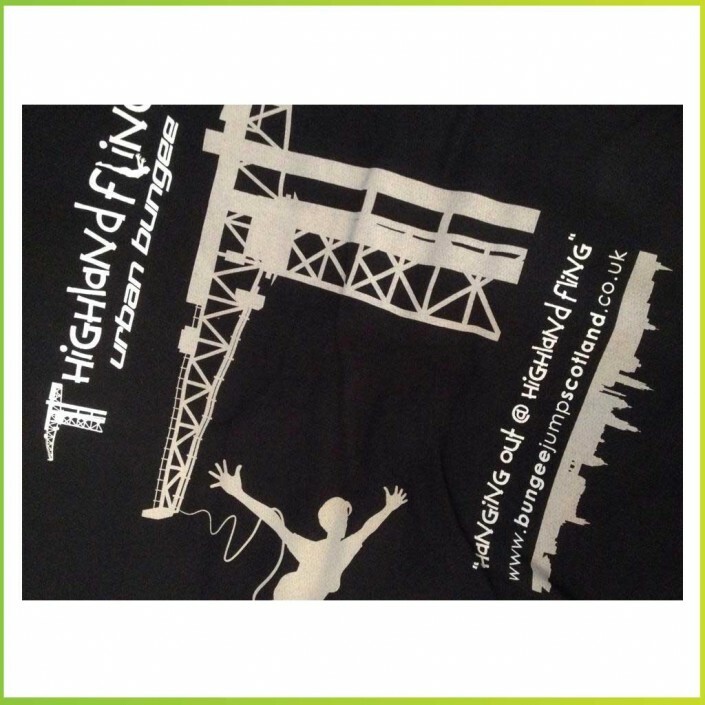 It produces something entirely new in an area renowned for adventure sports. 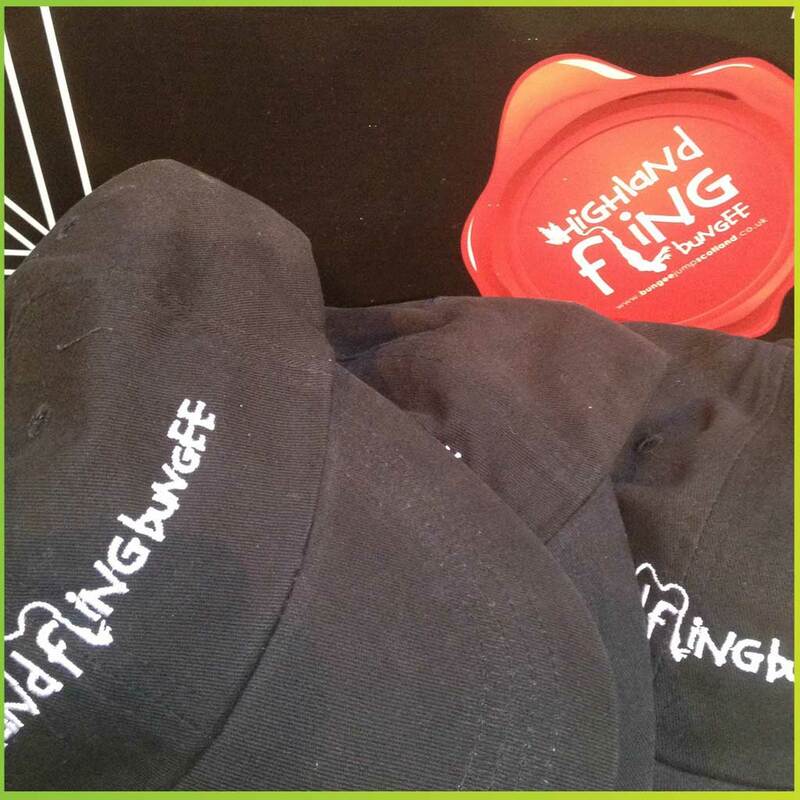 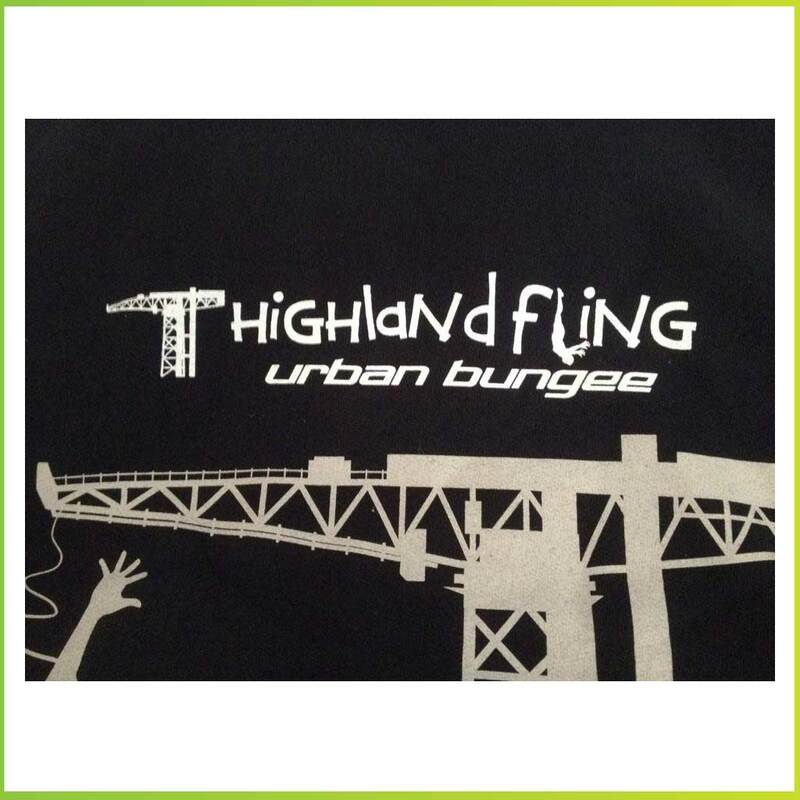 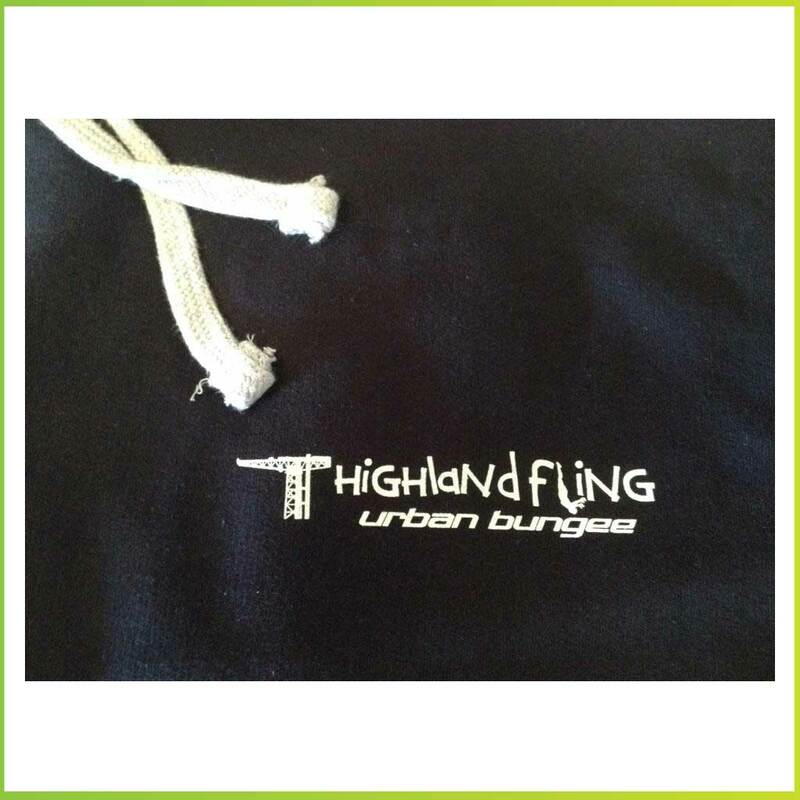 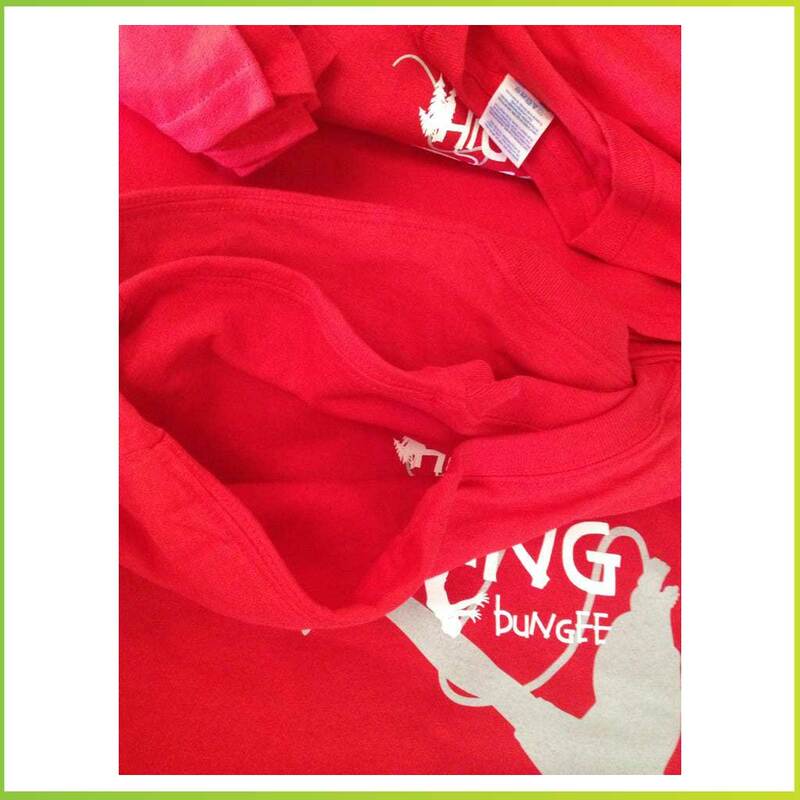 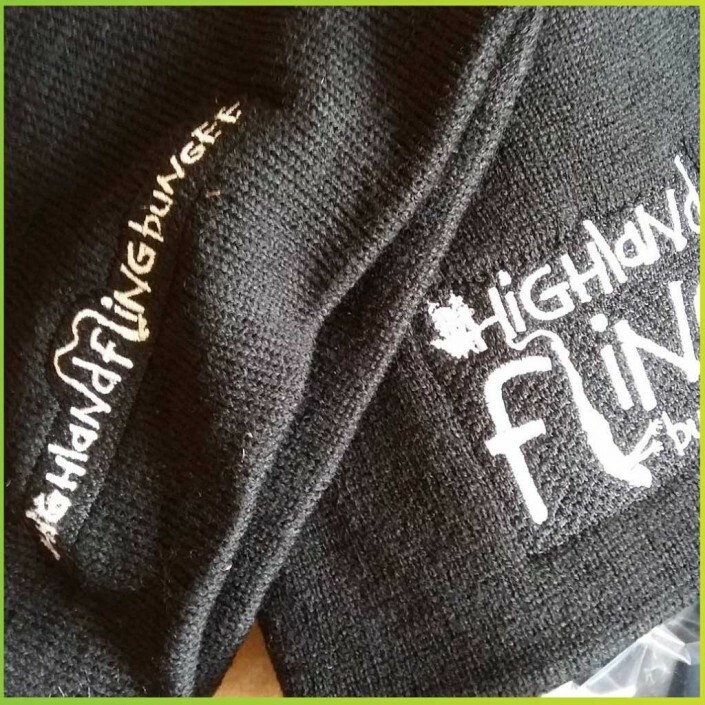 The brains behind Highland Fling Bungee wanted the jumper to form a connection with an inspiring landscape through adventure and exhilaration. 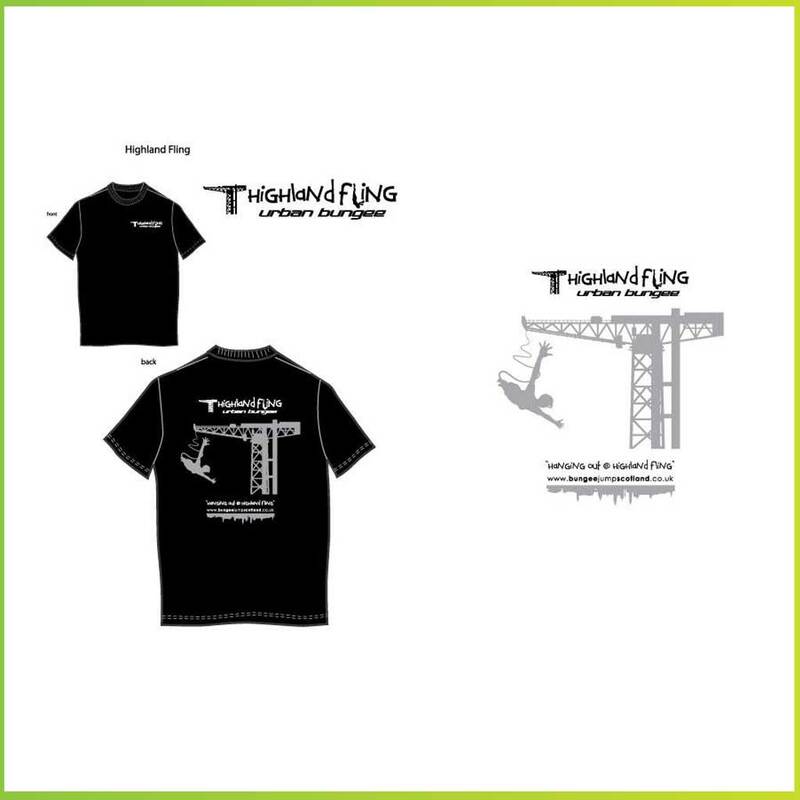 This is all to be reflected in the merchandise and design work surrounding the project. 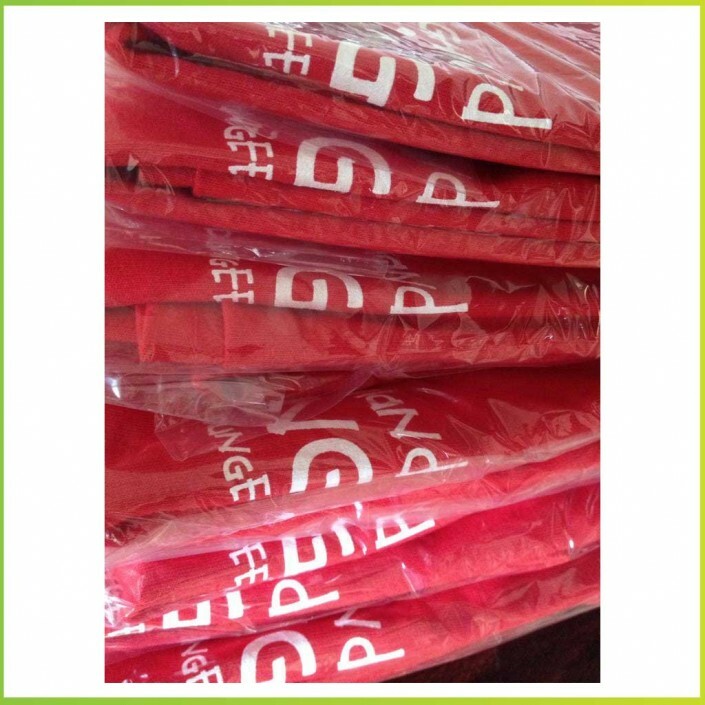 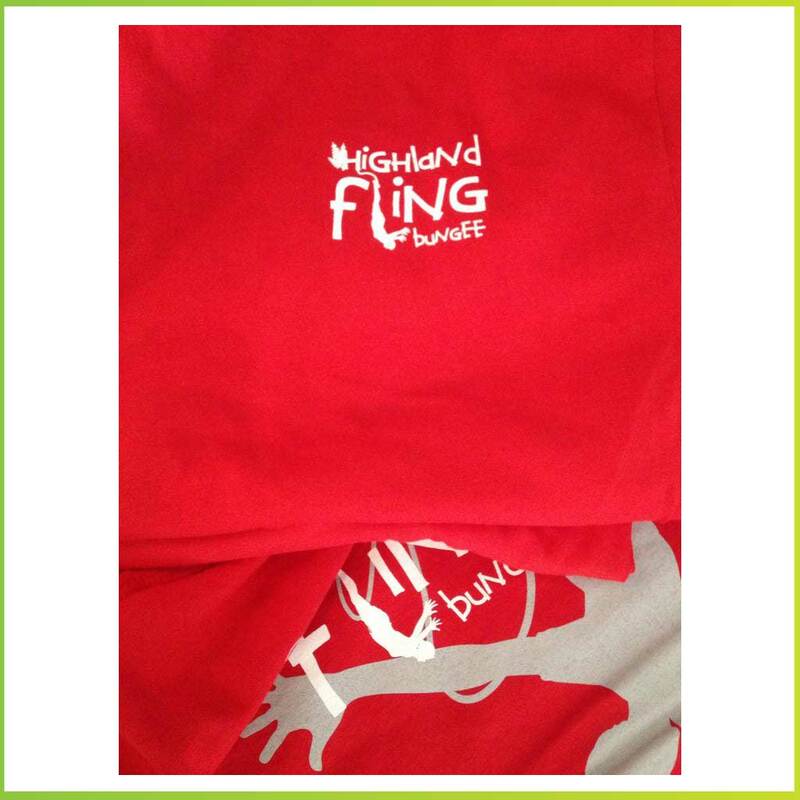 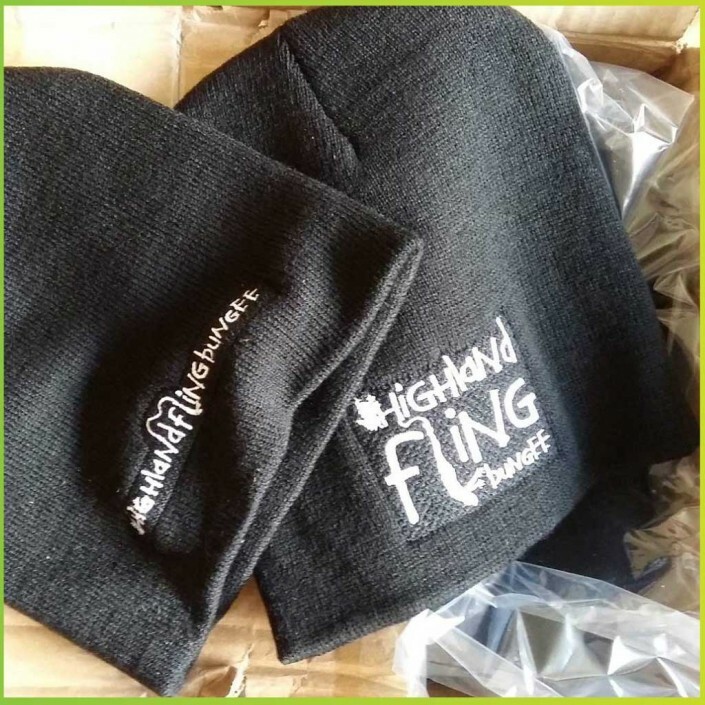 Gumbi Gear are proud to design and supply Highland Fling with all their printed product needs, from caps and t-shirts, to hooded tops and outdoor clothing. Having also designed all the graphic style and logo work (in conjunction with Waingroove Designs), this leads to slick and intuitive team work to produce the best reflection of the business and its clients.